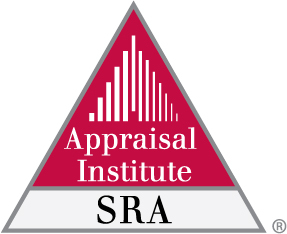 Woody Fincham, SRA is a well respected member of the Appraisal Institute. See his profile here. For complete information on requirements refer to Regulation No. 2 and the SRA Procedure Manual. Good Moral Character The Associate member must have good moral character. Must be a residential Associate member in good standing. Standards and Ethics Must provide proof of passing an approved 15-Hour National USPAP course/exam and complete the Appraisal Institute course Business Practices and Ethics. NOTE: Associate members who practice solely outside the United States may complete the International Valuation Standards course instead of the USPAP course. Note: The Associate member must attend the Advanced Residential Applications and Case Studies/Part 1 course. The Appraisal Institute may offer an Equivalency Examination to substitute for the above examinations except for the Standards, Ethics and Report Writing courses. Must have received at least a two-year degree from an accredited college or university or alternative. For more information on the college degree requirement and alternatives, click here. Must receive credit for 3,000 hours of Residential Appraisal Experience (must cover at least a 24-months) or alternative. For more information on the experience requirement and alternative, click here. Must receive credit for Residential Demonstration Appraisal Report or alternative. For more information on the demonstration report requirement and alternative, click here.